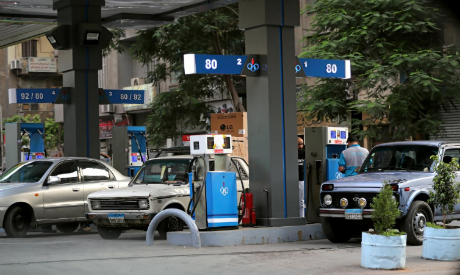 The recent hike in fuel prices in Egypt will not be the last, Petroleum and Mineral Resources Minister Tarek El-Molla said in a press conference on Wednesday, days after the country announced subsidy cuts on fuel. El-Molla said that the increase comes as a corrective measure for the pricing of petroleum products amid a level of consumption that does not reflect the country's economic development. The minister added that after last week's partial lifting of subsidies, the government still subsidises around 25 percent of the price of fuel. Over the past week, Egypt announced the partial lifting of subsidies on electricity and fuel as part of the government's ongoing economic reform programme, which was first launched in 2014 and has helped the country secure a $12 billion loan package from the International Monetary Fund (IMF). Since the announcement, fares for public transport have soared. El-Molla said last week that the price surge, which is the third since Egypt floated its currency in November 2016, will help Egypt save up to EGP 50 billion in funds allocated for state subsidies in the 2018/19 budget. The new price hike will also reduce the funds allocated for fuel subsidies to EGP 89 billion from EGP 139 billion, according to El-Molla. The fuel subsidy cuts are part of the economic reform package adopted in July 2014 that aimed to ease the country's growing budget deficit, with a five-year plan created to gradually scrap fuel subsidies by 2019. The IMF-supported reform programme has included the liberalisation of the country’s currency in November 2016, as well as the implementation of the Value Added Tax (VAT). The IMF said following its third review last month that Egypt remains committed to continuing energy subsidy reforms to achieve cost-recovery prices for most fuel products by 2019. More than 85 percent of the economic reform roadmap has been implemented so far, Finance Minister Mohamed Moeet told Al-Ahram Daily in an exclusive interview published on Monday.